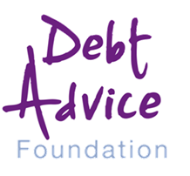 Debt Advice Foundation is a registered national debt advice and education charity offering free, confidential support and advice to anyone worried about loans, credit and debt. Because we're a debt charity, you can be sure that the advice we provide is impartial and based solely on what is best for you. If you are struggling to keep up with credit card, loan or debt consolidation repayments, have arrears or are facing legal action from lenders as a result of being unable to repay your unsecured or secured debts, our debt helpline advisors are standing by waiting to help. We advise on the full range of debt solutions including Bankruptcy, Debt Relief Orders, Free Debt Management Plans, IVAs, Trust Deeds, LILAs, Debt Arrangement Scheme, Administration Orders and Debt Consolidation. If you require debt help or you need to talk to someone in confidence about your options, there's no need to wait or book an appointment, our free debt advice helpline is open Monday to Friday 8am to 8pm and Saturday 9am to 5pm.